BEST of BE FESTIVAL’s tour showcases three of the festival’s favourite shows. Birmingham’s BE FESTIVAL features a genre-bending selection of European theatre, dance, comedy, circus, live music & DJs, food, visual and performing arts. Some theatres provide the opportunity to take part in workshops with the artist. Check with your local theatre for information. Romain Teule opts to deconstruct language, and through the literal examination of words we observe how subtle changes can easily cause miscommunication. Robin Dale applies his circus training to reaearch object-oriented philosophy. A charmingly rhetorical action-lecture with ping pong. 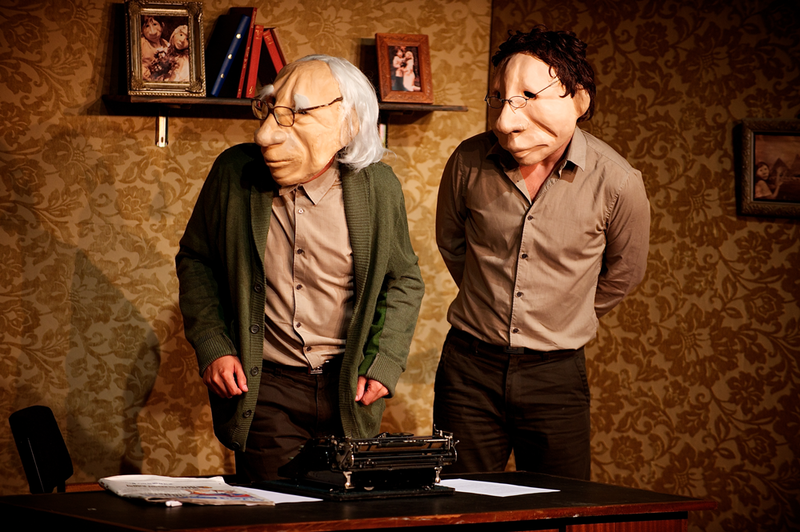 A moving story of the relationship between an old couple, beautifully told through mask. A performance lecture on the nature of language, Légende unpicks the different kinds of questions produced by words. Beginning with a fictional language of the birds, Romain Teule’s show probes the different possibilities to be found in words. Living and working between France and Portugal, his show was originally performed in Portuguese; adapting it for BE 2017, his existential questions will now be posed in English. Uncovering the instances where words fail, and what powers they have, it’s a thoughtful show prompting re-evaluations about what things we take for granted. Romain Teule is a French-Brazilian choreographer. Following his studies in critical design at Toulouse Fine Art School, he studied performance at the Fine Art School of Nantes. In December 2014, he completed PEPCC (Program of Study, Research and Creation in Choreography) in Lisbon where he worked with Vera Mantero, Patricia Portela, Lia Rodrigues, and Loïc Touzé. Using innovative juggling, physical comedy, and almost-philosophy to guide you through Robin Dale’s mind and body of research. 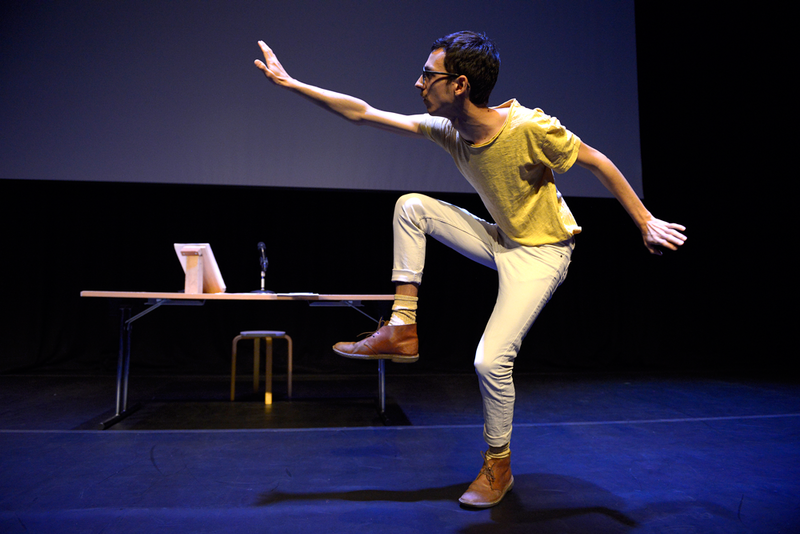 In his charmingly rhetorical debut show, Robin Dale utilizes innovative juggling, physical comedy, and almost-philosophy to guide you through his mind and body of research. Featuring pouring, ping pong, and a motivational speech delivered by a man in swimming trunks. Please bracket any skepticism about the value of the totally obvious. Kulunka Theatre is a company created in Guipúzcoa in 2010 by Garbiñe Insausti and José Dault: two young actors with academic training at the Royal Superior School of the Dramatic Arts in Madrid and with an extensive career in the theatre. A lively, modern, committed collective capable of moving and amusing in equal measure. The company’s history goes hand in hand with the success of its first show. Since André and Dorine began its international tour in October 2010, Kulunka Theatre has visited over 25 countries in six years, including the United Kingdom, the United States, Turkey, Nepal, the Dominican Republic, Ecuador, Argentina, Cuba, China, Panama, Russia, Norway, Finland, Chile, France, Malaysia, Portugal, Taiwan, Mexico, … and its performances number over 450.